Cue the Christmas music because my tree is lit, the stockings are hung, and my favorite pine tree candle is burning. I don’t know about you, but I’ve honestly been in the holiday spirit since Halloween. 🙂 We actually decorated our apartment before Thanksgiving this year because of our crazy schedules, and it’s so nice to come home to each day. I love how we customize our decor to fit our apartment color scheme, too. Be sure to stay tuned for more of my holiday decor in an upcoming post! Another part about the holidays that I like to customize is my gift wrapping. To be totally honest, I’m not the best at wrapping up presents. I usually get gift boxes and bags and then add bows and tags to make them cute! I’m so excited to share my most recent find with you, Special Event Keys. Special Event Keys is a specialty plastics company that makes the cutest luggage and gift tags! I found them on Etsy and am obsessed with all of the customization options that they offer. You can choose your background color, font, font color, and text. I have a bunch of luggage tags from them on each of my suitcases and you can add your contact info/address on the back of the tags, too. Aside from luggage tags and custom hotel keys, Special Event Keys has rolled out the most adorable holiday gift tags!! They all come in the prettiest gold, another one of my go-to holiday tones, and have cutest sayings. From your classic, “Merry Christmas” and “Cheer” to some funnier sayings, they have options for everyone. One of my favorites is, “It’s a Puppy, it’s really not,” since I ALWAYS asked for a puppy from Santa. Still a little bitter that it never happened…lol. Another thing that’s great about the gift tags is that there’s a to/from space on the back that you can fill in. 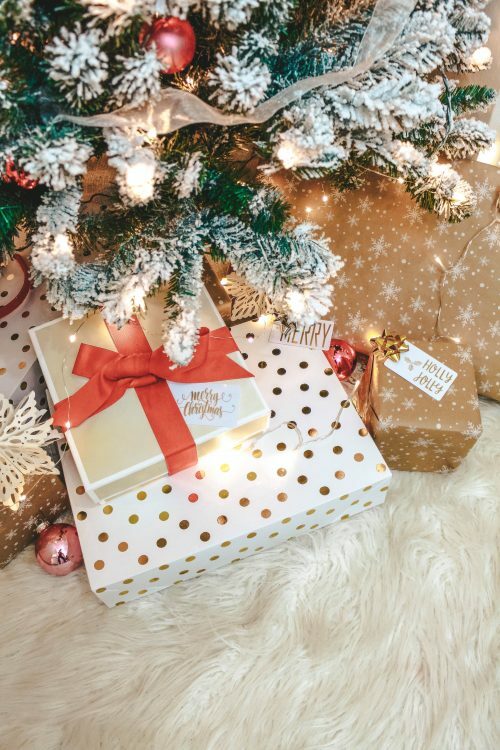 You definitely want to get credit for your cute gift-wrapping skills. Special Event Keys was nice enough to partner with me for this holiday season and offer a discount to all of you. You can use code “LAUREN” in the discount section at checkout to get 20% off your purchase! The gift tags are also only $10 for 5 tags ($8 with my code), which is such a good deal. They are also having even more deals for Cyber Monday today, so check that out asap! You can click here to shop or on any of the images below to see your favorites. 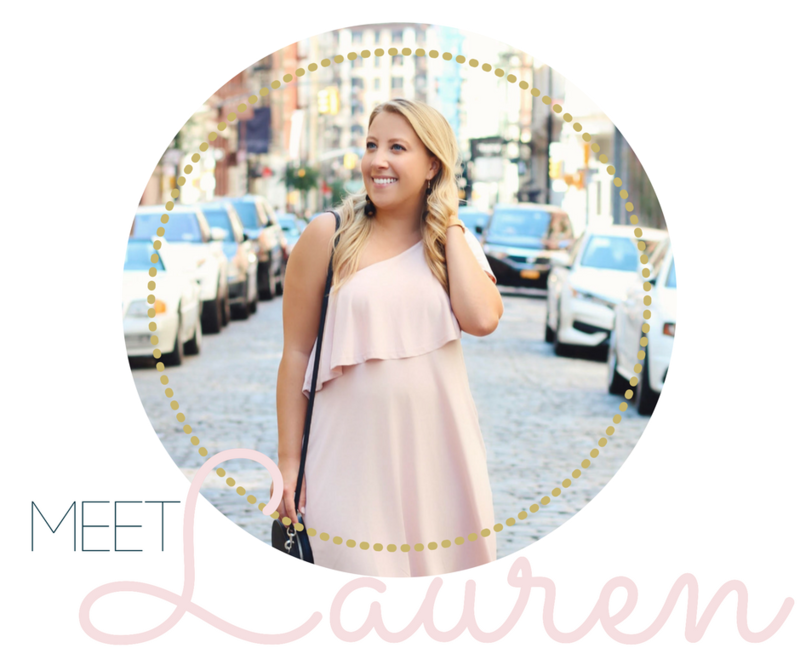 Thank you for helping support me and brands that make Lifestyles by Lauren possible. Omg these are so cute!! Totalllyyy up my alley aesthetic-wise too 🙂 Love! Right?! My favorite type of wrapping! Feeling all the Christmas feels from this! Those tags are so cute! It’d definitely add a nice touch to Christmas gifts! I love these gift tags! They really make the present pop and I love the gold. Gorgeous tree too! OMG these are just too dang cute and what a great idea to spruce up different presents! I love that they are customizable, although I am really loving the gold! These are some of my FAVORITES! I love them and use them all of the time – such a fun idea to use them as gift tags too! Ah so happy you’re a fan! They definitely make my luggage cute too! I love how you wrapped your gifts! Such unique and fun touches! I’m obsessed with your Christmas tree and all your décor! And those holiday gift cards are so lovely!